Dear fellow internet marketer... when mighty Google launched its own tablet computer, recently, it confirmed that 'Internet on the move' was here to stay. And that's because Google has a track record of predicting the future of internet marketing with uncanny accuracy. Remember, Google are the guys who bought YouTube, back in the fall of 2006, when hardly any marketers were using internet video. Yet - now - online video is virtually wall to wall with 60% of the Google search results video. And, so it is with 'mobile marketing'. In fact, the savvy marketing managers at Amazon added $2BILLION in sales from mobile users in 2011 alone. While down at eBay it was a massive $5 billion. So, if you aren't active in this market you are leaving BIG BUCKS on the table. Money that could pay for that luxury vacation of a lifetime or even that dream vacation hideaway you've always promised yourself 'some day'. Because - whilst the top dogs, like Amazon, are exploiting mobile marketing to the max (and reaping great rewards) hardly any internet marketers are doing mobile marketing, yet. ... as you zoom past them on your way to mobile marketing gold. Because the real beauty of mobile marketing is it costs very little extra money to tap into this vast market - all you need is the know-how. That's because I have all the smart shortcuts to creating your very own mobile marketing empire to sit alongside your existing marketing - like strapping on a booster rocket to make your sales and profits soar. This explosive expose lays bare everything you need to know to take full advantage of the psychological fact folks enjoy a far more intimate relationship with their cell phones and tablets than they ever did with their laptop or desk computers. And this is why they are up to THREE TIMES more likely to buy something they view on their mobile device. So, if you want to make serious money with your internet business this is certainly the way to go! This book begins by giving you some very interesting vital statistics showing which countries have the highest smartphone usage. Interestingly, the highest by far (at 54%) is Singapore, closely followed by Hong Kong - both countries where the economies are booming, when compared with the USA and Europe. So you either need to pay close attention to the burgeoning mobile market - or kiss goodbye to vast amounts of easy profits. What a 'mobile website' is and why you need one to maximise your traffic sales and profits. How a mobile web site benefits you in many ways (and sets you apart from the also-rans). The reason why your regular website is excluding you from all those lovely mobile marketing sales and profits. The astronomical numbers of smart phone users waiting to find your site - once you've created a mobile web site. This module gives you the complete heads up on the vital differences between constructing a web site for desktop and laptop computers and a web site for mobile devices, putting you far ahead of your rivals. The vital key to success with mobile web sites. The vital checks you must never neglect (ignore this at your peril). The simple step you can take to make your existing WordPress website more mobile friendly (all it takes is a simple plugin). The different mindset you need to adopt when designing your mobile website - once you've done that it will be a slam dunk! Traditional methods of web page construction that have no place in a mobile website - avoid using any of these, without exception. Why you need to minimise the amount of data viewers need to enter - including some clever tips on ways to slash data input requirements. The tipping point when mobile internet use will eclipse desk and laptop internet use - and it's coming at you with the speed of an express train! Site redirects: how to use them for maximum effect (and avoid making your precious visitors log off your site in frustration). Why you need to cater for two different mobile markets (and so avoid leaving a boatload of cash on the table). The content that works best on the homepage of a mobile website. Now you have your mobile website created it's time to attract visitors like bees to honey. Why you need the shortest possible URL for your mobile site. How short is sweet when it comes to certain aspects of mobile SEO. How to exploit the now universal medium of video to attract maximum traffic. Keeping your visitors wanting more by uncovering exactly what they want from a mobile site. How local-based mobile ads can be a real gold mine if you're targeting your local market. How to locate an extensive list of mobile web site directories and review sites to submit your site to. The specialist mobile search engines - and the clever trick to get their attention without you having to look for them! How directory submissions are the complete opposite of what a traditional web site requires (don't miss this vital point). Why Google AdWords and similar paid ads tend to be more effective on mobile devices (and how you can exploit this to the max). Search Engine Optimization for your mobile site - and how it's similar to traditional web sites, but with a few important differences. Now you have your mobile site and are ready to unleash a torrent of traffic, it's time to make sure you maximize your moneymaking potential, because mobile devices allow extra - and far more clever ways - to make you money than traditional internet sites. QR codes and how to exploit these 'barcodes on steroids'. The vital parameters for app success that you need to know. Sage advice on marketing your app for maximum effect. NFC Technology and how this can send the profits of your local business skyward. The handy social networking site for local businesses (what's more, a presence here makes it a snap to get high listings in Google's mobile search engine results!). Creating custom apps - and the four smart ways you can make money with your very own app (plus how to get one custom made for you). 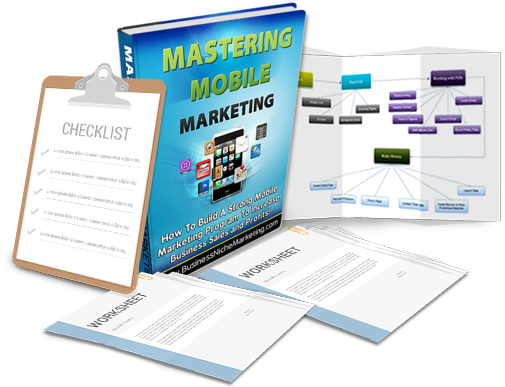 Mastering Mobile Marketing gives you a complete simple to use method for becoming a Mobile Marketing Master, lightening fast. And - once my secrets are YOUR secrets - you'll be amazed just how fast your traffic and profits will explode. Keeping track of your mobile marketing projects is a slam dunk with this convenient add on. And, because it seamlessly integrates with the Mastering Mobile Marketing program, you'll be pleased to realize what a priceless aid it is. It makes creating your mobile marketing project a piece of cake - all you need do is check off each stage, as you complete it. 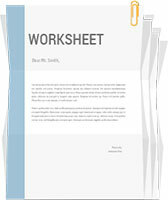 This is an autopilot method of keeping up to date with your mobile web site operation. Having every detail of your project at your fingertips is the key to super-efficiency and maximum profits for minimum effort. And this free checklist makes it a stroll in the park to guarantee you have everything covered. This checklist chimes exactly with your Mastering Mobile Marketing program, so keeping track of everything is a snap. So any doubts about your ability to handle this new field of mobile marketing will vanish when you view the entire process laid out before you in simple step-by-step fashion. The secret of making money online is to maximize your opportunities to sell more product, so always having an accurate overall view of your mobile marketing campaigns is vitally important. 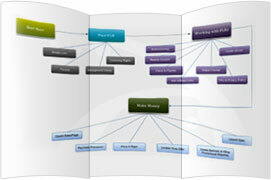 And to be able to see instantly what's happening, simply print out this process map and put it on your wall for an instant overview. 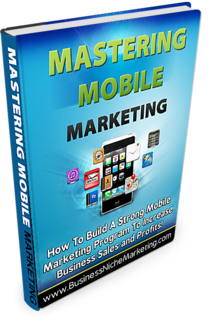 You can have this 66 pages book for free as an exclusive bonus when you buy the Mastering Mobile Marketing. Make no mistake - once you've mastered mobile marketing the extra (and increasing) amounts of traffic it will bring will transform your sales, profits and happiness! For example, just imagine diverting a tiny fraction of that $2BILLION of annual mobile sales Amazon enjoy via your Amazon affiliate account. Have you yet experienced the parallel universe that the super-rich enjoy? Just imagine never again having to worry about paying the regular household bills - and even having enough spare cash to buy virtually anything without having to beg for a loan or worry if you can afford it - because YOU CAN! Yes, that really is the sort of lifestyle you can enjoy when you are a Mobile Marketing Master. ... so you will RISK NOTHING here. Yes! You can test drive the complete mobile marketing program, safe in the knowledge that - if, for any reason, you don't feel it's all I've said - and more - simply tell me and your refund will be on its way to you, lightening fast. I'm so sure that Mastering Mobile Marketing will provide you with the results that you're looking for that I'm willing to back it up for a full 60 days. Be in no doubt... this cutting edge program will take both your income and life to undreamed of levels - and all you need do is say YES! Because this blueprint is jam-packed with proven secrets that have the power to take your marketing to the next level and so give your income a serious jolt in the right direction. I know you're shrewd enough to realize the awesome potential these secrets will hand you. So I bet you are interested in the size of your investment in the Keys To The Profitable Kingdom Of Mobile Marketing. This program has only just been published and so contains all the very latest, cutting-edge techniques for maximum mobile marketing success and profits. And - as you're about to become one of the Early Birds who take full advantage of these powerful profit secrets - you can forget having to invest $525. 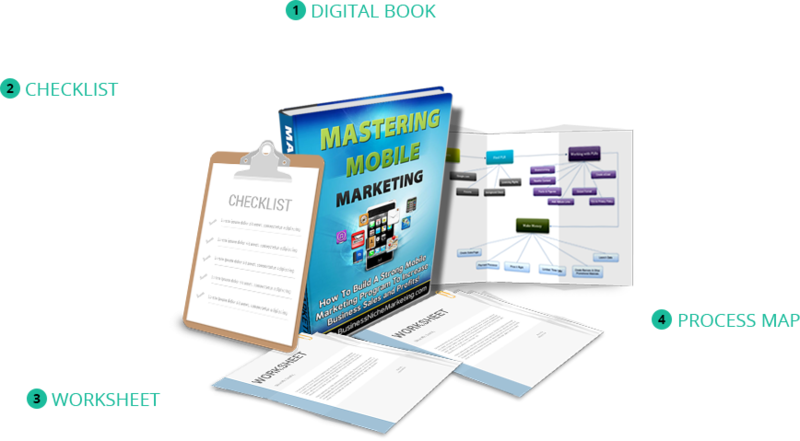 I want to become a Mobile Marketing Master - and so making far more money than just with traditional internet marketing. I know with absolute certainty that, with the help of this program and my own imagination and determination, I can emulate Amazon and eBay (albeit on a more modest scale) with their billion dollar mobile marketing sales.. I really do appreciate this priceless chance to step up to a better life of financial freedom for myself and my loved ones. I understand that, as soon as I read Mastering Mobile Marketing and put these valuable secrets and techniques to the test, I can quickly start to enjoy the extra traffic, sales and profits that are already out there waiting to be diverted to my business - but only if I take decisive action to use the insider secrets revealed in this program. I really appreciate your cast-iron 60 day guarantee, but I'm sure I won't need that, because I'm dedicated to carefully following every tip and trick in the Mastering Mobile Marketing program and I want to invest in my copy right now! Make the right choice today and you take the first decisive step to when your wealth will be at a level you never expected to enjoy in a million years. That's when you'll bless this day when you discovered just how easy it was to unleash a torrent of fresh traffic onto your business with some simple mobile marketing techniques. So I'm really looking forward to welcoming you on the other side, taking you by the hand and showing you exactly how these mobile marketing secrets can really transform your life. P.S. : Remember, you're completely protected by my cast-iron 60 day guarantee. So the only risk you run is the risk of losing this entire golden opportunity if you decide to pass on it. P.P.S. : These tried and tested techniques are the very same ones that have allowed Amazon and eBay to collect an extra $7BILLION in mobile sales between them. And our research confirms there is no other comprehensive guide available at this rock bottom price anywhere. "Wow! I never knew there were over 2 BILLION extra potential customers for my business out there just waiting for me to create a mobile marketing campaign. I'd be crazy not to jump at this!" And, every time another shrewd visitor invests just $47.00 in this powerful program that can truly change their lives, moves it ever closer to the moment when your chance to invest such a tiny amount will have DISAPPEARED for good. Why wait and have to pay double?